Kendall is a widely known and skilled tech in the industry, and he was gracious enough to send me a comment for my site. 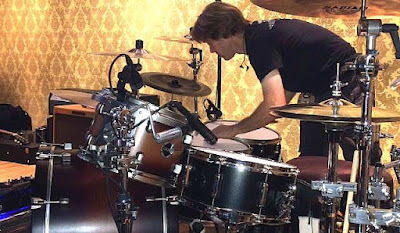 I met Kendall several times at Miranda Lambert shows when he was getting the kit ready for one of Nashville's all-time greats: Keith Zebroski. Since Day 1 of this, I have always sought out tech's, and am ever interested in their thoughts on my drums. Kendall has worked with the 1.5 Steel--5.5 x 14, 6.5 x 14 & 7.5 x 14. Tech's are treasure troves of information and idea's, and I listen to them very carefully. They also are very busy at these events, but always and unfailingly take time out.